Palapye is a large town in Botswana, situated about half way between Francistown and Gaborone. Over the years its position has made it a convenient stop over on one of southern Africa’s principal north to south rail and road routes. In 1997 Palapye was said to be the fastest-growing village in Africa and was expected to expand its population from 30 000 to 180 000. Located here is the Morupule Colliery Coal Mine (MCM), which supplies Morupule Power Station, Botswana’s principal domestic source of electricity. 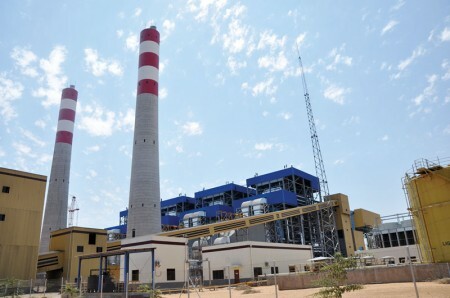 The power station has undertaken an expansion project to increase its generation capacity to meet the country’s increasing demand for electricity. The history of coal discovery in Botswana goes back to the early 1930s when a major coal seam was discovered through sinking of boreholes. While digging boreholes, coal seams were found in the common coal bearing rocks in Africa through the Ecca series of the Karoo system. The Morupule area is underlain by Karoo sedimentary rock, which forms the Eastern margin of the major Karoo basin developed to the west of Morupule. These sedimentary rocks consist of shales, coals and sandstones of the middle and lower Ecca. The profile of Botswana’s energy supply is like most developing countries, particularly the Southern African Development Community (SADC) countries and is dominated by fuelwood which contributes 58% to the total primary energy supplied. Morupule is a mine-mouth power station situated near Palapye in the Central District of Botswana. The coal is supplied by Morupule Colliery. Currently, it is estimated that Morupule Power Station produces 30% of the country’s electrical energy requirements. In 2003, the power station commissioned a generation expansion feasibility study due to diminishing surplus generation capacity facing the southern African region. The feasibility study recommended that 6 x 100MW units be installed in progressive stages; 400MW immediately between 2009 and 2010, 100MW in 2018 and 100MW in 2023. According to the 2007 Survey of Energy Resources, Botswana has massive coal reserves in the eastern part of the country with 40 million tons of proven recoverable reserves. The untapped reserves are in the greater Morupule fields of eastern Botswana. The Anglo American Corporation (AAC) was given a mining lease in 1966 and developed a colliery at the Morupule coalfield, which opened in 1973. Exhibitors should include any company that supplies equipment or products to the coal mines or power stations; or that supplies equipment or products that can be used in the coal mining or power generating process. Palapye is a coal mining and power station area, if you’re involved in that business, this is the expo for you!